Muck Boots: My Wetlands are Here! 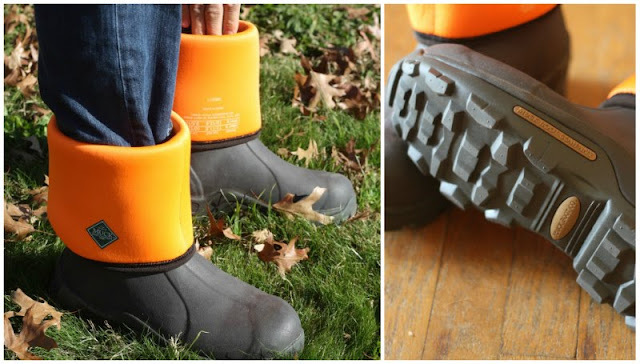 My Muck boots have arrived! Mary and I laugh all the time at the fact I've owned and been wearing my L.L. Bean duck boots since before she was born. 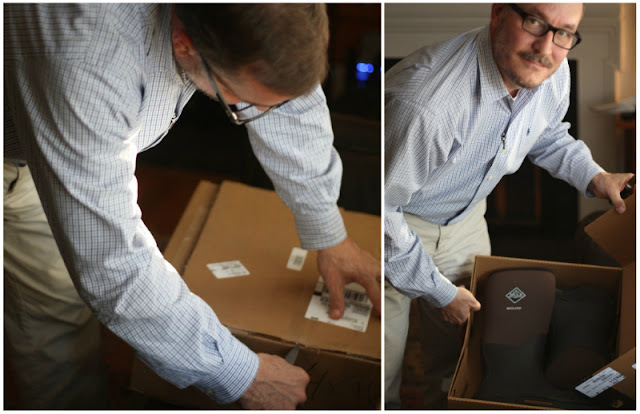 They've been "resoled" twice — a great service offered by L.L. Bean for anyone interested in either bringing a little life back into their own pair or looking for boots that promise to stand the test of time. They're like an old pal I look forward to re-uniting with each time I wear them. They've seen me through many "muddy" situations. 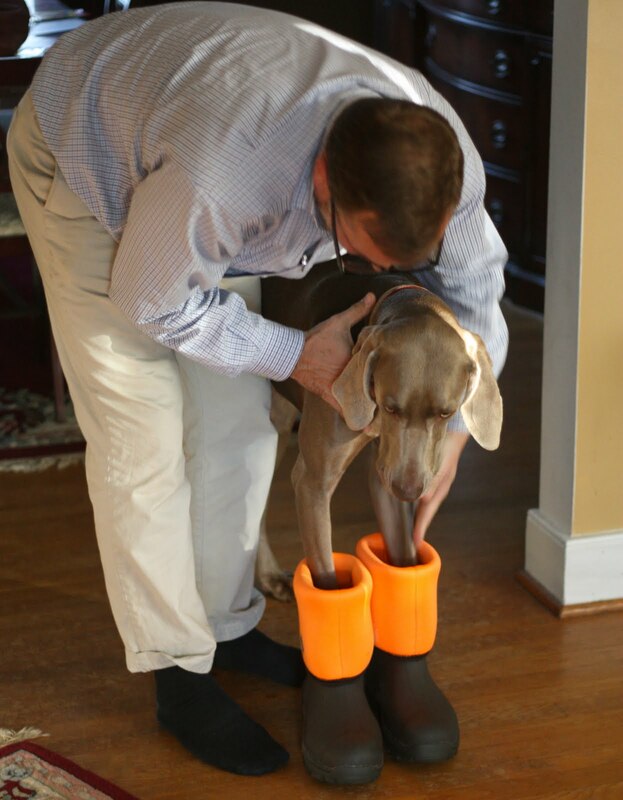 Here I am wearing them last autumn when we first got Basil. All of this being said, while I have a true love for my dear duck boots, it's time for something a little more substantial. This is where I'd like to introduce you to my latest and greatest Muck boots! They are the Wetland version from The Original Muck Boot Company. 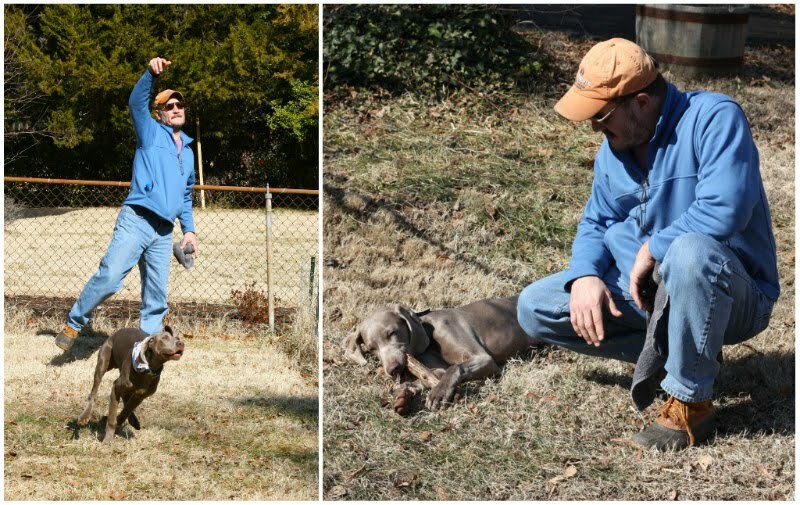 These babies are a field style boot that are 100% waterproof and can stand the test of comfort in any temperature range from 70 F to - 20 F. Amazingly easy to pull on and off (Mary sometimes needs help pulling her Hunter boots off). 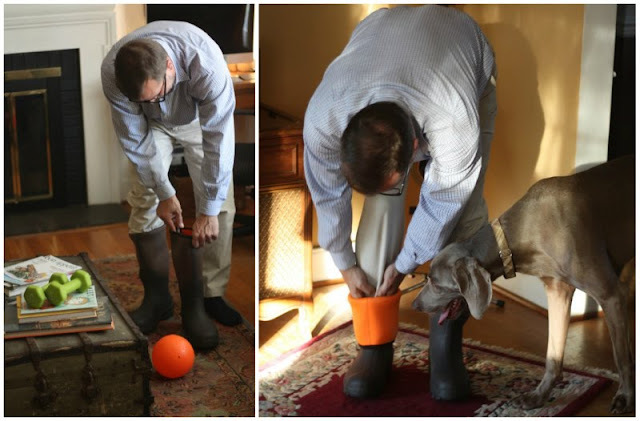 The Muck boots have a soft lining that can easily be rolled down and the boots slip right off. I've actually just been wearing mine with the lining halfway down with the bright orange lining exposed unless I'm truly going to the river or something of the sort. It looks like Muck already thought of this since their branding looks just as "in place" with the lining rolled down as it does up. As a side note and speaking of wearing things that stand the test of time, I am wearing my grandfather's hunting jacket above which is a 1960's era Ted Williams sporting version sold only through Sears and Roebuck at the time. I am certain my grandfather did not pay this for the jacket and I would imagine more like $13-15 dollars. I love bringing this jacket out in the fall. While my duck boots won't be going into full retirement, they'll most likely be in hibernation mode and taken out less frequently than my new Muck boots. I even have to admit, I'm contemplating getting another pair of the duck boots in here at some point... shhhhh. Even Basil approves with little hesitation! After we snapped this pic of him, we later caught him dropping his bone down inside one of them — thinking it would be a great new hiding place. Do you have an old favorite or standby pair of shoes or piece of clothing? 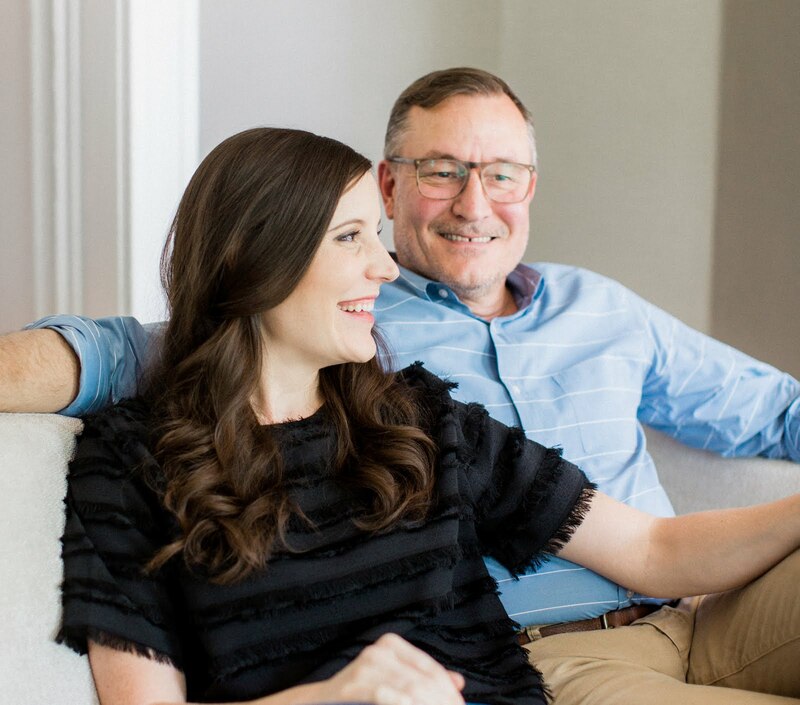 I am all about paying a little more up front for shoes that last decades and believe it or not from dress shoes to tennis shoes I own several! 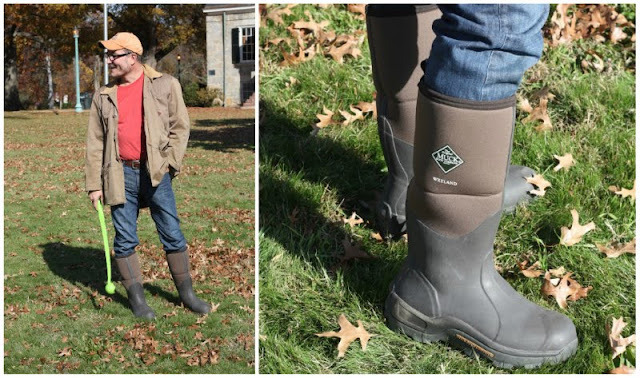 Muck boots is the best footwear that you should have because it can be wore in messy and tough conditions.